More than simply searching for information, the Internet of Things creates a new connectivity between devices. Free yourself from mundane, repetitive tasks to allow more time to increase productivity and sales. Unshackle yourself from a location and operate your devices from anywhere in the world. The internet is magnificent for discovering information … but the Internet of Things is where we know the enchantment of systematization and automation prevails. Have you ever printed wirelessly from your mobile device? Perhaps you have a mobile app that allows you to operate the air conditioner, television or lights remotely. In simplicity, this is the Internet of Things. Activating or interacting with Wi-Fi connected devices through a mobile app controller. In reality, and with the ever expanding range of possibilities, there is a complexity that is exciting and invigorating. The application of such technology has the potential to improve the operation of machinery to create massive world change. The Internet of Things can efficiently collect relevant data, upload it to the operational machinery and adapt the processes accordingly, all without human intervention but with accuracy and real-time speed. The value this adds to improving productivity and quality assurance is exceptional. There are opportunities to create these systems in almost every industry. Take note of all the repetitive tasks that your employees handle on a daily basis, often unrelated to generating income for the business, such as switching on the air conditioning and lights at the commencement of the day. Consider the processes which need to be modified as environmental or other factors alter to ensure that the results are always at optimum levels. Many such procedures can be automated with the creation of an I-of-T App allowing your employees to be more focused on human-centric tasks and the outcomes of procedures to be delivered with more accuracy in a time-sensitive manner. Currently immense development is being undertaken across a diverse range of industries. I-of-T Applications are being created and refined to automate, manage and improve communities and organizations of all sizes, globally. humans or damage to the operation. Agricultural soil quality is monitored and the application of fertilizer is optimized accordingly, providing a more cost efficient process. Trash can levels are monitored to avoid wasting collection resources to service empty cans. Only those requiring emptying are serviced, optimizing both human and machinery resources. Temperature sensors are activated to adjust settings on connected devices to ensure smooth operation and deliverability of outcomes. Operate all home or office devices remotely. Monitor production lines and halt operation when conditions are not ideal to prevent damage to the machinery and products. Provide internal monitoring of freight during shipping and send alerts when conditions are not acceptable, automatically adjusting the conditions where possible. Ensure emergency equipment is stored efficiently and send an alert if attention is required. Manage energy systems in a commercial building to provide cost-saving procedures without reducing effectiveness. Track & adjust commercial freezer and refrigeration temperatures to ensure products are not exposed to unsuitable levels resulting in spoilage from frequently opened doors. See examples of I-of-T Apps we have developed for our clients. We look forward to speaking with you regarding the potential applications for your business. Iconic Solutions pride themselves on being industry leaders in the development of mobile apps for the Internet of Things. As a relatively new technology, the full potential is only just being realized so there is no formalized industry standards at this time.Our experience in the industry has prepared us for such circumstances. We are fully conversant with all platforms and apply our highest level of excellence to all that we undertake. Human resources are relieved from repetitive tasks and redirected so they become more efficient with their critical tasks. Operational performance is optimized to the highest possible quality assurance indicators, minimizing erroneous data and applying modifications as time-effectively as possible.From tech-savvy start up enterprises to the global giants of the Fortune 500 lists, minimizing poorly utilized resources, human and mechanical, to maximize efficiency, can propel the organization to superior achievements. Partner with us to conceptualize, develop and produce your I-of-T App. You will be confident in our ability in Mobile App Development with over ten years extensive experience, having published more than 150 Mobile Apps. We work closely with you throughout the entire process to visualize the versatility that will perfectly suit your unique circumstances and processes. Uniquely positioned to draw on our track record of success, the core functionality that transfers across mobile apps of all descriptions is refined with creative enthusiasm to provide a distinctive product, tailored specifically for you and your business. Our clear communication strategies ensure you are kept updated at all times and informed of progress as each stage is evolving. Our cohesive, award-winning team works skilfully in unison, to achieve a mobile app solution which will exceed your expectations and be recognized as the pinnacle of excellence in your industry. Uniquely positioned to draw on our track record of success, the core functionality that transfers across mobile apps of all descriptions is refined with creative enthusiasm to provide a distinctive product, tailored specifically for you and your business. Our clear communication strategies ensure you are kept updated at all times and informed of progress as each stage is evolving. 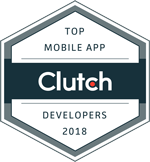 Our cohesive, award-winning team works skilfully in unison, to achieve a mobile app solution which will exceed your expectations and be recognized as the pinnacle of excellence in your industry.